Bruce has worked in educational technology for almost twenty years and but his real love is history... American history in particular. 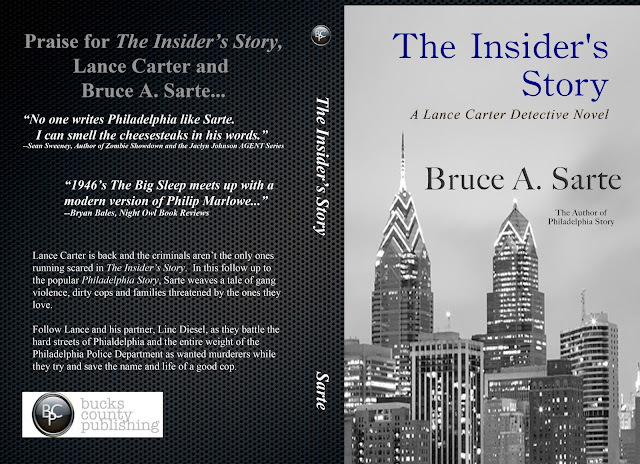 In addition to technology and history, Bruce is the author of several books including: Sands of Time, Towering Pines Volume One:Room 509, The Star of Christmas, Philadelphia Story, The Insider's Story, How to Play Guitar and How to Read the Bible. History 101: Whisky or Whiskey? What's the Difference Between Them All? Personally, whiskey is my favorite spirit to sit back and enjoy. A lot of folks enjoy beer, wine or other fine spirits, but whiskey has always been my favorite. I enjoy a nice scotch or bourbon, and even like drinking the cheap ones. 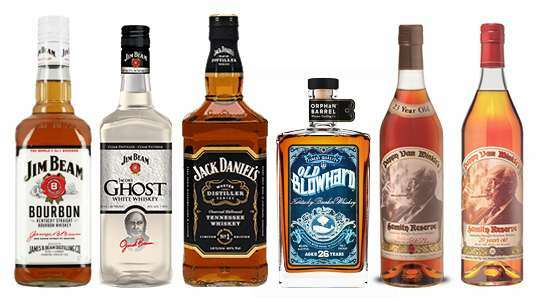 My personal favorite is Gentleman Jack, which is an aged version of Jack Daniels. And it is one of the most popular alcoholic beverage on the planet! Heck, there have rebellions and military actions surrounding it! (Google Whiskey Rebellion) My obsession with whiskey started after I graduated from bartending school when I was in college. I started working at the Walnut Street Theater in Philadelphia tending bar, and part of the job at any fine bar is knowing what everything tastes like. This allows you, the bartender, to make recommendations to customers when they ask, "which is better" or "I like THIS can you make me something like THAT?" During this process, I discovered that I really enjoyed whiskey, and that it was pretty much every whiskey to some extent. 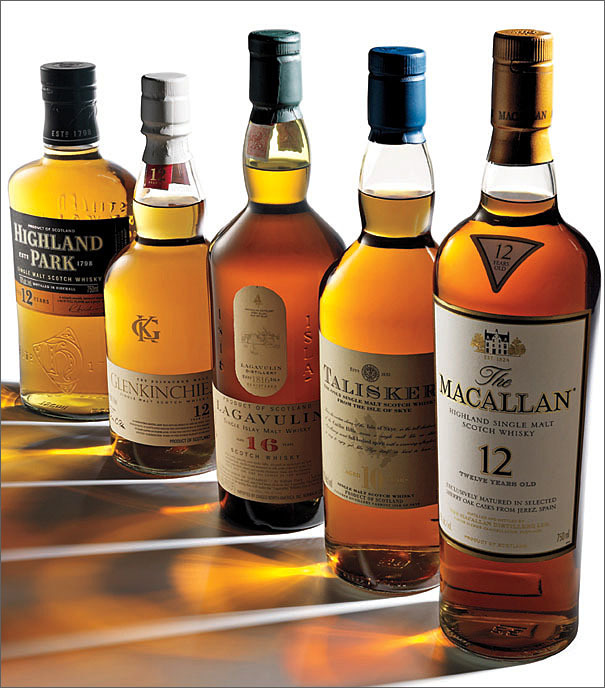 But, there are many different types of whiskeys out there, and for the average consumer this can be very confusing. They order a Johnny Walker Red and do not understand why they don't like it, they drink Jack Daniels all the time. Well, the industry does not make it easy to know or understand the difference. And neither does history! Let's just look at the WORD! Is it whiskey or whisky? And is there a difference? Let's break it down. Origins? Well, no one really knows for sure. The best guess is the drink we know as whiskey today originates from somewhere in Asia around 800 BC. It is thought the Chinese began distilling liquor from rice in a similar manner to the way whiskey is distilled today, and that traveled to the British Isles. Remember, Great Britain controlled much of the world for a very long time. And part of the United Kingdom was Ireland. There is evidence that the Moors helped bring the idea to the British Isles Taking that into account, the most commonly held historically explanation is the Patrick, the Patron Saint of Ireland (and apparently whiskey), brought the knowledge to Ireland with him as a Christian Missionary in 432 AD. The Celts thought this was somekind of awesome and took this as their own drink they referred to as Uisage Beathe (water of life). The word whisky is etymologically derivative of uisage, meaning that this is the origin of the word. The first written records of this stem from the Exchequer Rolls of Scotland that show a purchased of "eight bolls of malt to Friar John Cor wherewith to make aqua vitae. : For those weak in Latin, that's Latin for "water of life." Over time, this knowledge spread and by the early 18th century the recipe and distillation method was refined to make a drink that was more palatable, but still raw and hard to the taste in comparison to the drink we know today. However, it was so popular that the grains were being grown all over the world by this time. It wasn't until the 18th century that the idea of aging whiskey became prevalent when a merchant in Ireland happened upon an old cask of whiskey. He sampled it to see if it was still good to sell, and to his amazement realized it was infinitely better than the stuff that he was selling at the time. During the 18th century, governments began to realize that whiskey was very popular, and a tax upon this drink could generate a lot of money for the government coffers. Scotland and England passed a tax in 1725, which existed in more or less the same form as an Excise Tax into the 19th century. This led to different experimentation to try and skirt the tax, which was too specific in what it taxed. The thought was by changing the formula, the tax could be avoided. Aeneas Coffey first blended whiskeys from different areas together to produce a different, blended whiskey. This did work, and legitimate distilleries began shutting their doors because of the tax. It wasn't until 1852 that blended whiskeys caught on, and became popular thanks to Andre Usher's new blend that made both the Irish and Scottish happy. While there are many "single malt" varieties out there, most low-cost whiskeys are blended, today. The word: whisky or whiskey? Well, the word depends more on the origin and time more than anything else. There really is no difference in the product, today, other than origin... sort of. Historically speaking, Scotch (or whiskey from Scotland) was spelled whisky, and whiskey from Ireland was spelled whiskey. And that was really simply a difference in the language more than anything else. And since the Irish are credited with bringing whiskey to the United States, all whiskey that originates in the United States would have an 'e' in it So, if you are being technical: whisky comes from Scotland, and whiskey comes from everywhere else. That does not, necessarily, mean that American Whiskey is only Irish in origin. Very much like everything else in America, it is a melting pot of methods, recipes and flavors. But, if you want to be picky it can be said the Kentucky Bourbons tend to be closer to Scotch, and Tennessee Whiskey tends to be more like Irish Whiskey -- but please remember, that is a generalization that I am sure as many people will disagree with as will agree with. Let's break down the different kinds of whiskeys, what makes something a Bourbon or a Scotch and so on. It can be very confusing...actually, it is in some respects. So, let's start with the basics. get Scotch... in Ireland, you'll get Irish Whiskey (duh). There - now we've explained a lot of the whiskey you see on shelves! And it knocks out two of the top four whiskeys in the world. The other two? Bourbon and Tennessee Whiskey. OK, OK, stop before you e-mail me or comment below -- I KNOW that Tennessee Whiskey is derivative of, and regulated by, the Bourbons and their associated laws. So, generally speaking, Bourbons are whiskeys that are distilled in Kentucky in the United States. However, if the whiskey is distilled in Tennessee, it is called a Tennessee Whiskey or sometimes a Kentucky Bourbon (but not usually). If it says Bourbon on the label, it is from Kentucky - but if it says Tennessee Whiskey, it is a bourbon distilled in Tennessee. But wait, you said something about laws and bourbon? What's up with that? In the United States, laws were passed as to what was Bourbon, and what was not. According to Federal Standards for Identity for Bourbon, for a whiskey to call itself Bourbon, its mash (the mixture of grains from which the liquor is distilled, must contain at least 51% corn. This mash must be distilled at 160 proof or less, put in barrels at 125 proof or less and it must not contain any additives. The distilled liquor must also be aged in a new charred oak barrel. Most commonly, these barrels are made of a white oak. The name? Well that originates from an area that was once known as Old Bourbon, and is now Bourbon County, Kentucky. So, what is different about a Tennessee Whiskey that makes it not the same as Kentucky Bourbon? In theory, you can distill a bourbon anywhere. And the good folks in Tennessee said, "yes, we can!" They liked the bourbon being produced in Kentucky, but thought they could do better. The part that makes a Tennessee Whiskey and Tennessee Whiskey is the filtering. Tennessee Whiskeys such as Jack Daniels are filtered through a sugar-maple charcoal. This process is called the Lincoln County (Tennessee) process and is the only thing separates the two types of whiskeys. I guess they did not like the name "Lincoln Whiskey," huh? There is a bit of a difference in the process, too. Usually, Scottish and American whiskeys are distilled twice, while the Irish do ti three times. The extra distillation round gives the Irish Whiskey a light and smoother spirit. The stills are also designed a little differently. In Ireland and America, a pot still is often used. That is a short, fat, large still with a round base. This produces a softer, more well-rounded spirit. The Scots use a variety of different types of still, which gives Scotch a larger diversity in flavor and character. The Scots also use peat to dry out the malted barley to prepare it for mashing. This helps inject a degree of smokiness to the whiskey. The Americans and Irish use wood to put the malt through its paces, which makes the spirit lighter and less smoky. One other portion of the process that differs is in the grains used. In Scotland, it is usually a malted barley. While the Irish take a similar malted barley, and infuse other grains into the mixture. This practice originated because of the historically poor economy in Ireland. Mixing other grains in with the barley made it cheaper to produce. American whiskeys resulted from the need to find new grains to use for whiskey. The climate and soil in America is very different than in Ireland and Scotland. So, American whiskeys use a variety of grains in their mash, which makes their flavor and character vary greatly from their Irish and Scotch cousins. Are there other types of whiskeys out there? Of course! The originated in Asia, after all -- and there are some really great whiskeys from Japan that vary in style and flavors. Some claim to be Scotch, some claim to be Bourbons, so you know if they are a corn whiskey or a grain whiskey. And Germany boasts some really great Scotch derivatives, as well. Have a favorite whiskey? Tell me about it in the comments! Bruce holds a degrees in Computer Science, Biblical History and American History from Temple University, Liberty University and American Public University. He is a member of the Epsilon Pi Tau Honor Society, Golden Key Honor Society, Historical Studies Honor Society and the Saber and Scroll Society. He has worked in educational technology for over 20 years, specializes in building infrastructures for schools that work to support the mission of technology in education in the classroom. He also has served as a classroom teacher in Computer Science, History and English classes. History 101: Is Religion the Cause for The World's Worst Wars? American History 101: Profile of a Black Slave Owner - William Ellison, Jr.